Every morning so far, we have woken up to the howling of the dogs, and this last day in Alta was no different. I’ve actually found myself enjoying the sounds of the wilderness around us. It awakens our soul’s connection to the natural world, and reminds us that it or she must be given respect. Our ancient predecessors, and even the descendants of ancient indigenous tribes such as the Samí, have always respected the gifts that she gives us. While the daily lifestyles and survival tactics of the prehistoric man are not readily known, much information is often derived from the fragments that they have left behind. We explored some of these shadowy traces with a visit to the Alta Museum. 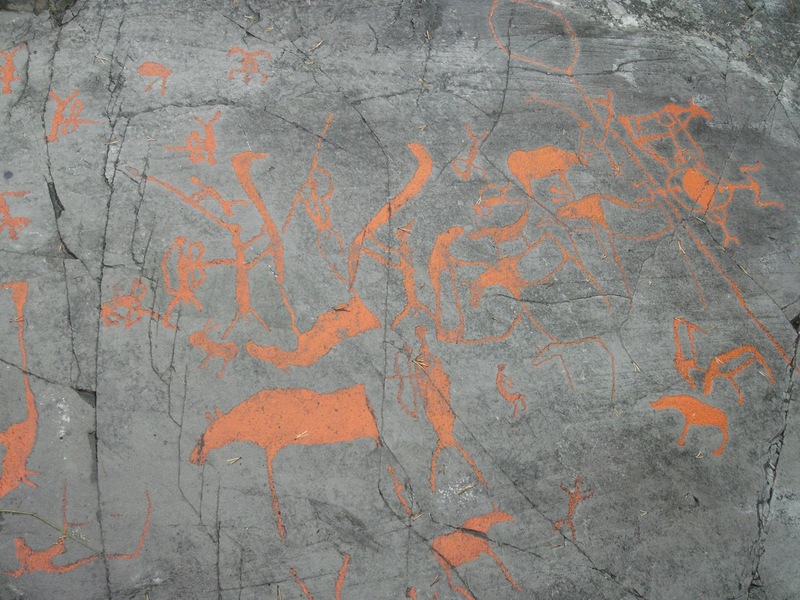 Alta is home to the largest concentration of Rock Art in Northern Europe. The first stone, dubbed the “Pippisteinen,” was found only 60 years ago. In the present day, over 6000 carvings and paintings have been registered. 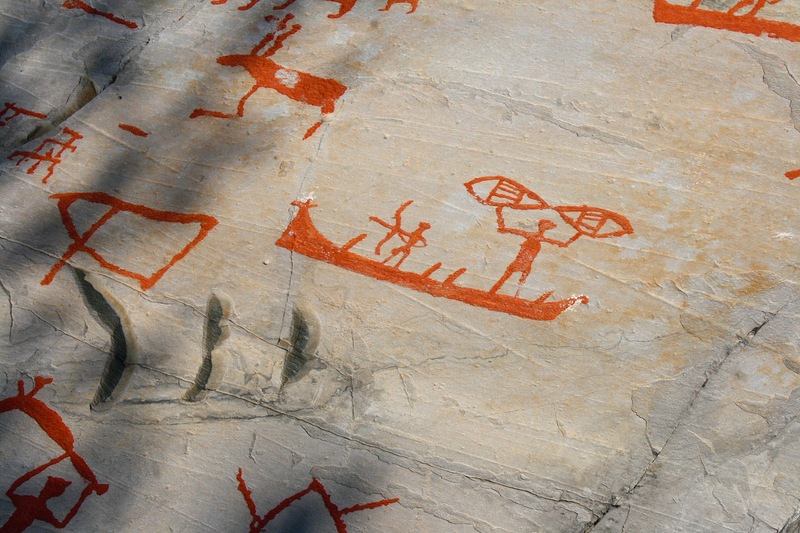 The art is dated to be from 7000 to 2000 years ago, and depicts a Hunter-Fisher Society. On the panels, there are many scenes depicting hunters stalking prey with spears or bows and arrows; Fishermen are seen fishing with lines in the water. Of particular interest or the boats, which start off small in earlier drawings but progressively show larger and more ornately carved boats in later drawings. Since similar carvings were found in Southern Norway, one hypothesis is that long-distance voyages may have come into being. A creature that is featured prominently is the bear. It is believed that bear was not only hunted, but also worshipped. There are drawings showing tracks leading vertically through a carved image and crossing the horizontal tracks of other animals. Anthropologists have speculated that this indicates the bear’s connection to the afterlife, that the tracks indicate an ability for the bear to pass between the different layers of the world. Before we visited the Alta Museum, we had gone to the Alta city center for a late brunch. We also got to catch some of the finishers of the Finnmarksløpet, the northernmost sled dog race in the world. The 1000 km (about 630 miles) race entrants had left on March 5 with a 14-dog team. 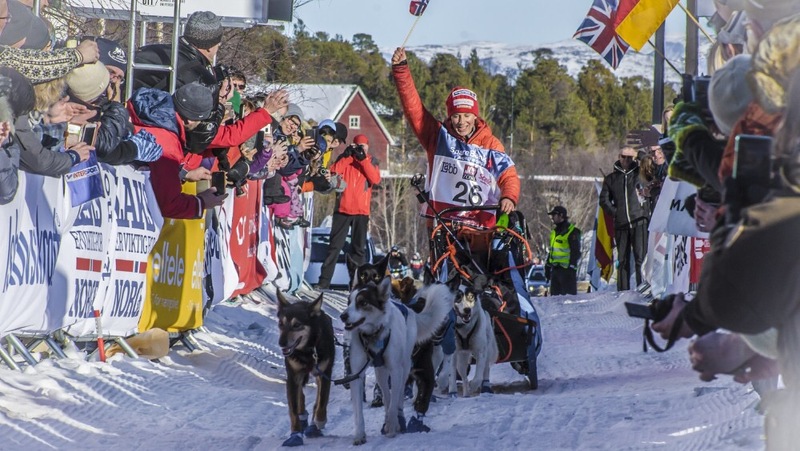 This means that they spent a total of 6 days racing around Finnmark, Wow! After the Museum, we went into town looking for a coffee shop and cinnamon rolls, but ended up settling for ice cream since Tom saw a shop and started craving it. 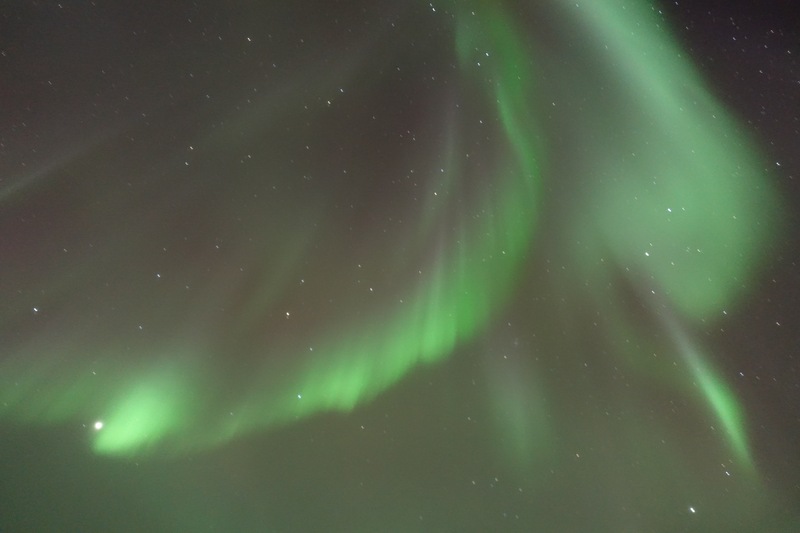 We then returned to the hotel to pack for our travel day tomorrow and take a nap before our last day of Northern Lights hunting. The forcast wasn’t looking optimistic, but after driving south for about an hour we saw a few shimmers. The lights were more tranquil than the previous two nights, so it seemed as if they were sad to see us go.